Lock in a great price for An-Sealgair Bed & Breakfast - rated 9.6 by recent guests. Cooked breakfast was excellent, plus it included cereal, toast, yoghurt, juices, tea and coffee. Lovely room, breakfast was delicious! Very friendly host. A brilliant stay with Scott and Nadine. Really comfy rooms and a great breakfast - we would definitely recommend stating here. We could not ask for a better or nicer B&B . 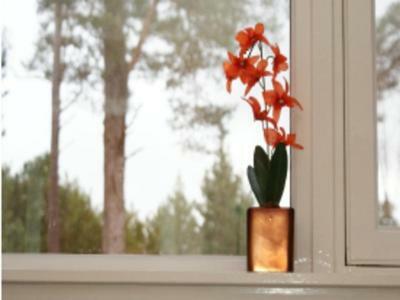 The rooms are specious, nicely decorate, beds we're very comfortable . The host was caring and available for any inquirie. Super friendly owners, very welcoming. My daughter loved the fact they had pet cats too! 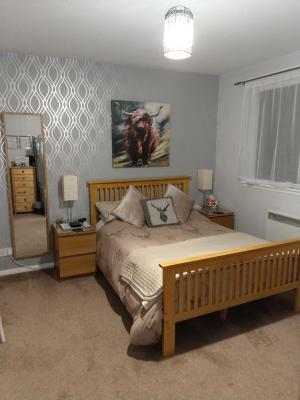 Bedroom was immaculately clean. Breakfast was lovely, tasty and freshly cooked to order. Scott gave fantastic information regarding neighbouring activities. Very well received by the hosts. Nestled in the picturesque Highland’s countryside, An-Sealgair Bed & Breakfast boasts tranquil accommodation within Cairngorm National Park. Carrbridge Golf Club is just a 3-minute drive away and Carrbridge town centre is about half a mile from the B&B. Each room at family-run An-Sealgair features a bathroom with free toiletries, a TV with DVD player, and tea and coffee making facilities. 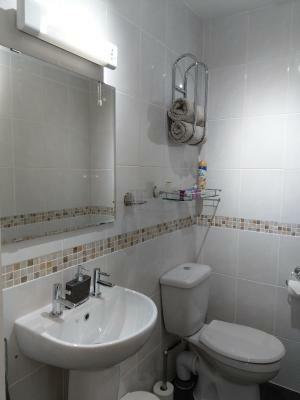 Bathroom facilities are en suite for all Double and Family Rooms; Twin Rooms have a private, external bathroom. A hearty, freshly prepared breakfast is served daily and it includes full Scottish breakfast made with local free range eggs, black pudding, and potato scones. Guests can enjoy easy access to many outdoor activities including pony trekking, mountain biking, skiing and snowboarding. This property is also rated for the best value in Carrbridge! Guests are getting more for their money when compared to other properties in this city. 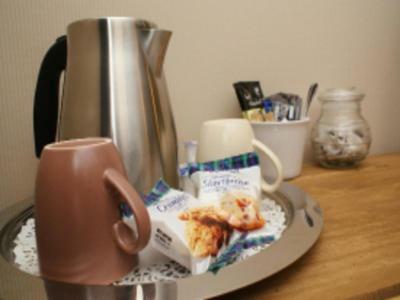 An-Sealgair Bed & Breakfast has been welcoming Booking.com guests since 23 Sept 2013. When would you like to stay at An-Sealgair Bed & Breakfast? This room has tea and coffee facilities, a TV with DVD player and a private bathroom. Tea and coffee making facilities, a TV with DVD player, and an en suite bathroom feature in this room. Tea and coffee making facilities, a TV with DVD player, and a private bathroom feature in this room. 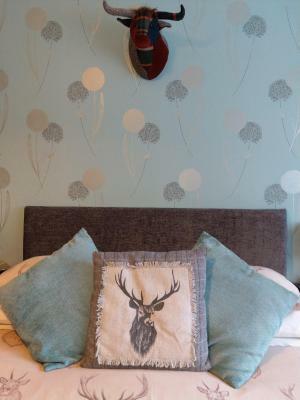 House rules An-Sealgair Bed & Breakfast takes special requests - add in the next step! Guests are kindly requested to inform the property of their estimated time of arrival. This can be noted in the Special Request box when booking or by contacting the property using the contact details found on the booking confirmation. Kindly note the owners of the property have pet cats. Please inform An-Sealgair Bed & Breakfast in advance of your expected arrival time. You can use the Special Requests box when booking, or contact the property directly with the contact details provided in your confirmation. Nothing to dislike apart from having leave!! My only slight issue is there is not much to do around (not the b&b's fault) closest shops etc is at Aviemore. Parking off the road was nice, yet space in the back is quite tight when the facility is full. The home was comfortable shared with other guests and the owners. The staff was very knowledgable about the area. Breakfast are delicious. And the setting was very relaxing. the driveway to the parking area at the back of the house is a bit narrow. Everyone else seemed to manage fine so it's probably just me and my poor driving! Scott was exceptionally welcoming, even making us a very welcome cup of tea on arrival. Very warm, clean and comfortable. Nice outside deck area to sit in the sunshine, no smoking allowed which was essential for us. Excellent breakfast. Lovely location with local pub and plenty of walks. Highly recommend a stay if you're in the Aviemore area. Nothing that I can think of !! The welcome, immaculately clean, attention to our needs, friendliness, lovely, well cooked breakfast. There was nothing not to like about this b&b! Jan and Scott were perfect hosts and I would recommend their b&b to anyone! Thank you for making our stay so comfortable!